Some performances are just simply "buttah." For those not up to date on current lingo, "buttah" is a term used to state how smooth a soloist's vocals are. 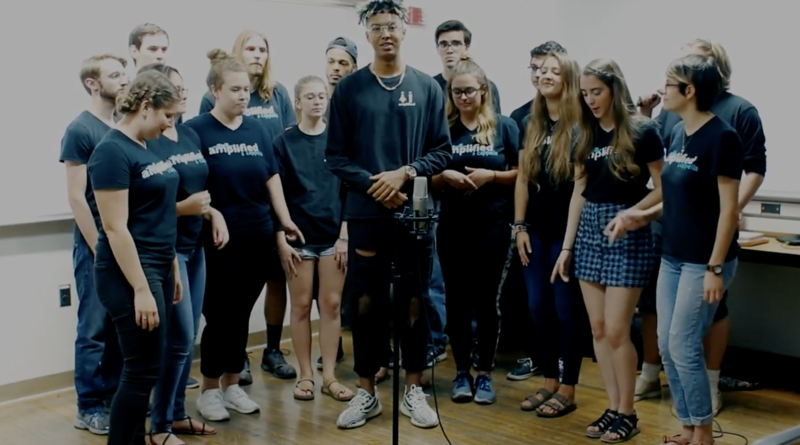 And the vocals on display in Amplified A Cappella's newest video is "straight buttah." The coed group from the University of Arizona scales back the heavy pop rock stylings in Shawn Mendes' "There's Nothing Holdin' Me Back" for a more relaxed and slightly cooler interpretation of the hit song. And the warms vibes are mostly due in part to Amplified's Jordan Murillo who pulls double duty as both arranger and lead. His controlled and effortless singing style gives the performance an acoustic feel that's simply impressive. Couple that with the backing group's talent who has the ability to easily slide off notes in perfect harmony or build momentum in an instant, and you know you're onto something good.